I thought I'd give this one a try. Should smell good right? I've seen different posts for it around Pinterest. 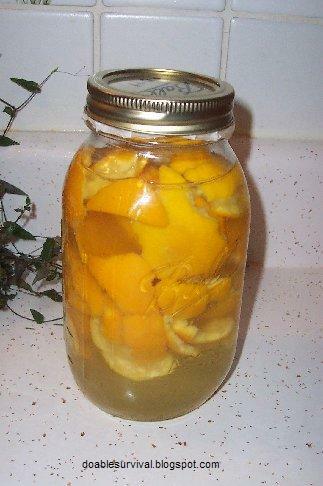 Put orange and/or lemon peels in a jar and cover with vinegar. Let sit for 10-14 days. 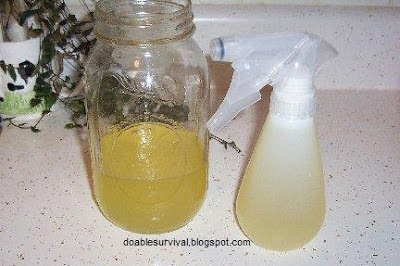 Strain and pour in a spray bottle and add water in a 1:1 ratio, (1/2 the vinegar solution to 1/2 water). It's supposed to work on kitchen counters, fixtures, floors, etc. Mine has just a few days to go, and then I'll let you know what I think or you can try it yourself. Some people seem to like it while others don't.